Beer Mansion, an unconventional and eccentric beer bash put on by Brooklyn Brewery of New York, will pop up for the first time in Dallas this summer. The Show: Catch live music performances by local artists such as Otis the Destroyer and more, curated by Nine Mile Records. The Bazaar: Shop local vendors like Hypnotic Donuts and Good Records. The Speakeasy: Enjoy refined beers, along with craft beer cocktails from Balcones Distilling. The Arcade: Get your game on with cutting-edge consoles and cabinet-style classics not seen since the 1980s, all supplied by Free Play Arcade. As for food and drink, partygoers will have access to unlimited beer tastings from seven different breweries including Braindead Brewing, Lakewood Brewing Co. and Brooklyn Brewery, with bites to be provided by Bowls & Tacos, Flying Saucer Draught Emporium and others. 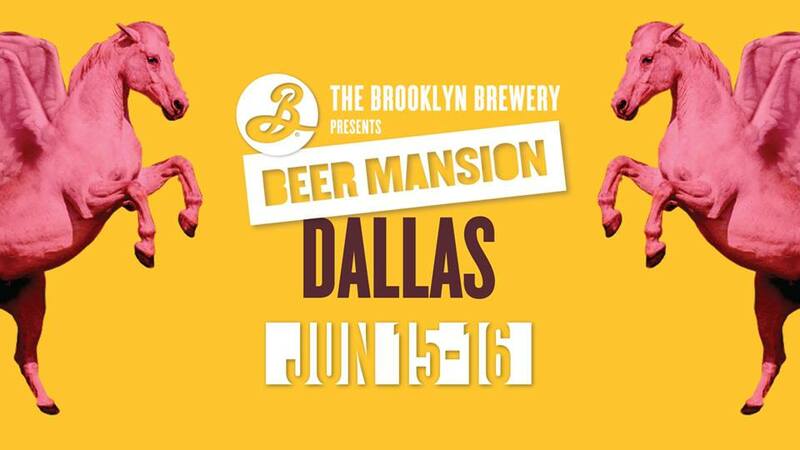 Happening at the 2616 Commerce Event Center on Friday and Saturday, June 15-16, tickets for Beer Mansion are on sale now. Three separate sessions are being offered (Friday night, Saturday afternoon, Saturday night), with ticket prices ranging from $20 for regular admission to $35 for The Tasting Experience. The latter option features benefits like early entry, signature Spiegelau glassware, a complimentary food item and access to the Tasters Quarters. Note that in each case, beer sampling tickets may be purchased separately for an additional $15. To reserve your spot, click here for a link to the ticketing page, where you'll also find complete details on the festivities.